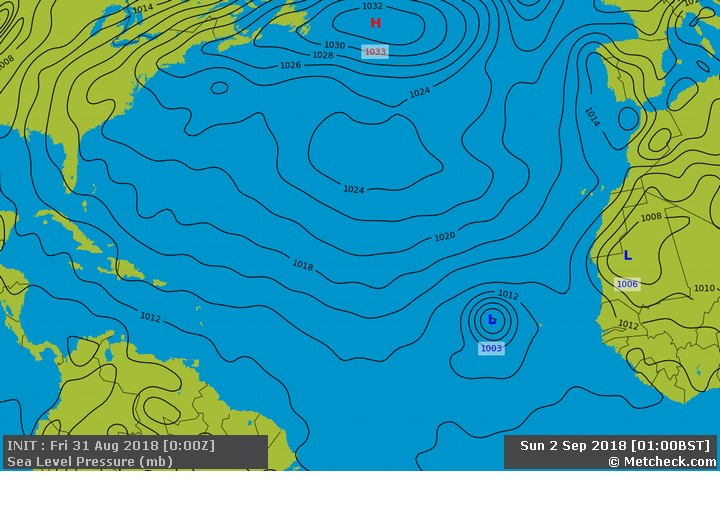 Metcheck.com - Weather Forecast Discussions - Tropics Come Into Play Expert Meteorologists Analyse Current Weather Situations. 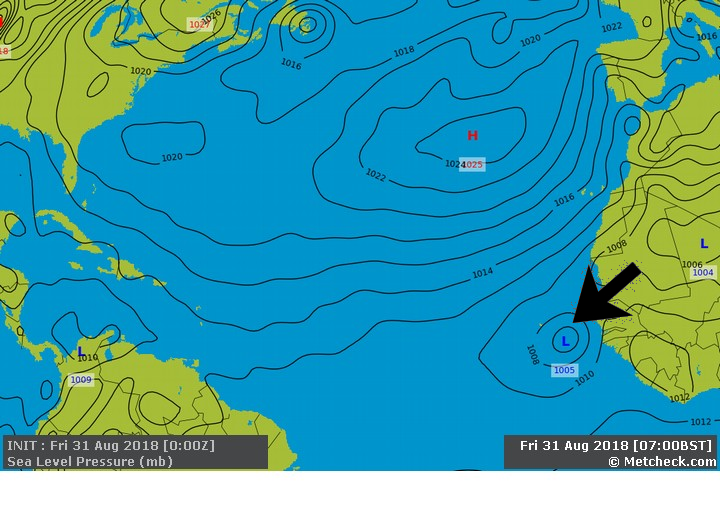 These systems form when tropical waves across West Africa and then head East thanks to the prevailing upper Easterlies at this latitude. 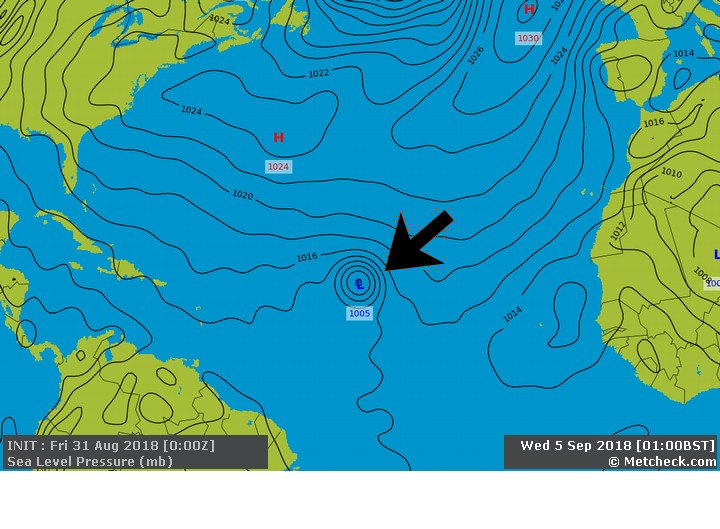 There are a few ingredients which need to be present for them to form including sea temperatures of 26c or more as well as being 5 degrees or more either side of the equator (as there is little or no Coriolis force at the equator to initiate the spin). A few other more advanced ingredients such as a saturated lapse rate, low vertical wind shear and high humidity are also required too. 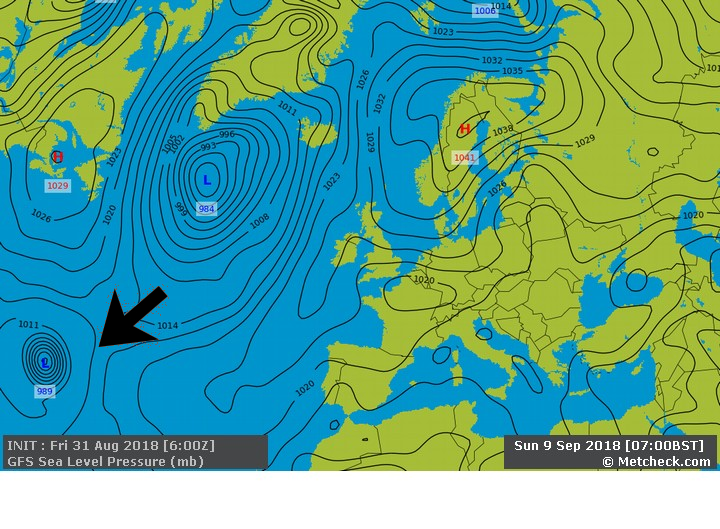 Whether or not this system recurves back towards our latitudes in a week or two remains to be seen, but it looks as though the rather quiet Atlantic season for 2018 may be starting to finally develop some systems.